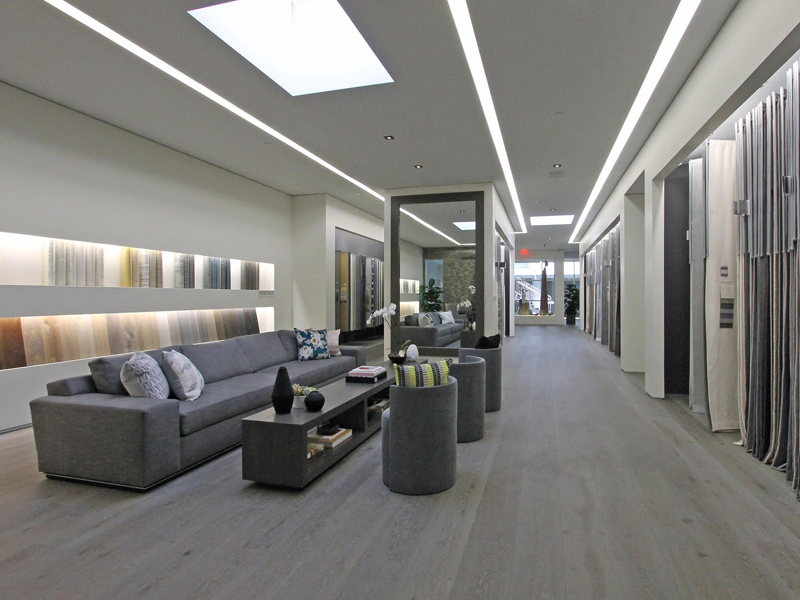 Come and experience the world of Romo at our latest and grandest US showroom. Our Southern jewel opened in January 2017 and features 11 ft. ceilings, 9ft. fabric displays, our signature wide open entry, a cozy lounge, and private meeting room. 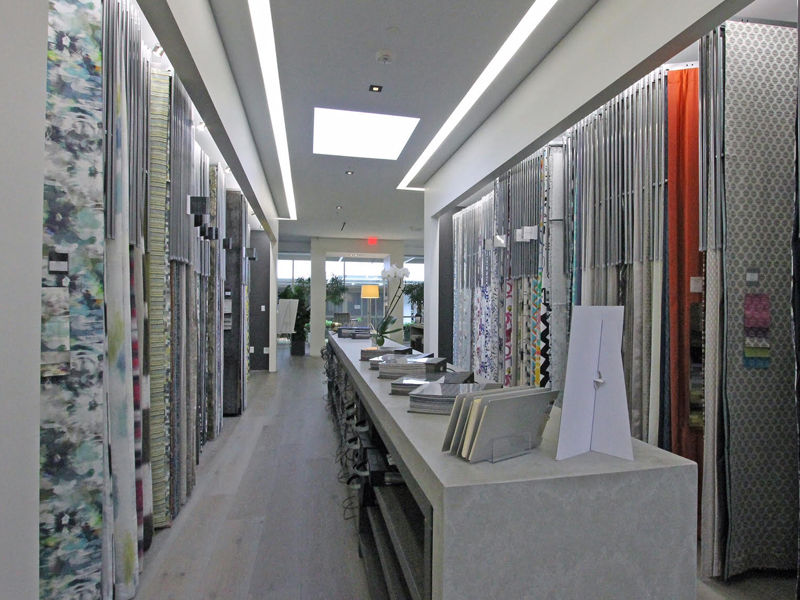 Exquisite finishes such as dry ledge stone, concrete case goods, recessed base boards and grey wide plank washed oak flooring adorn the 5,000 sq. ft. space with skylights throughout and linear light coves offering a continuous array of natural light for designers. None of this, however, measures up to the wonderful staff awaiting to greet and guide you.